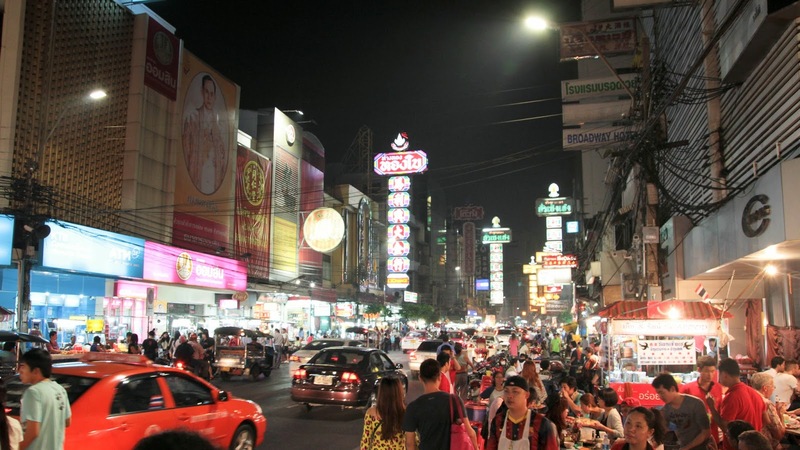 My friends and I travelled to Bangkok in December 2013. And no... My friends and I did not start a riot like Phil, Stu and Alan from the movie "The Hangover Part II". 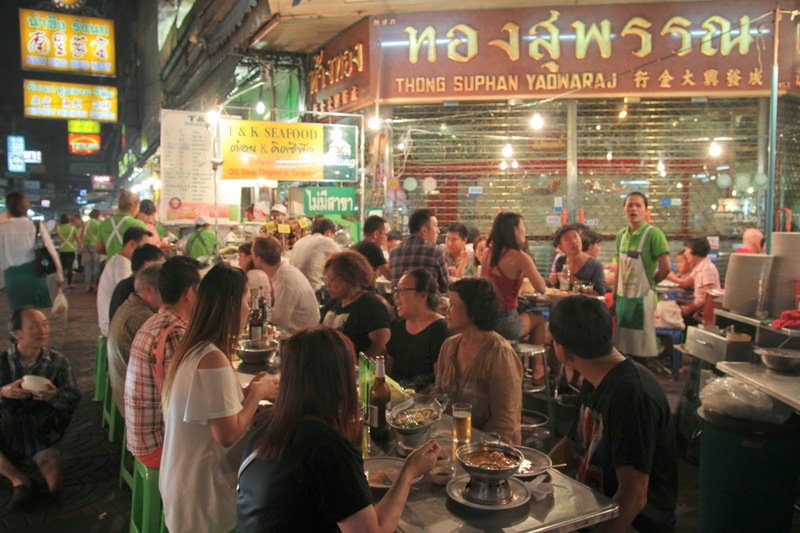 The temperature at night was around 20 Degrees Celsius which made it ideal to dine outdoors! Friend, families and even the Pilot of the plane I took to Bangkok strongly recommended dining at Chinatown! 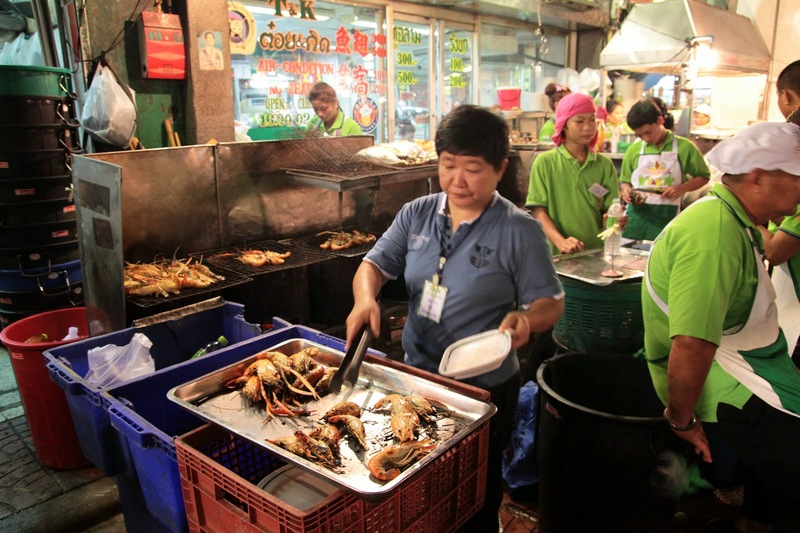 I did some research and there are thousands of results recommending T&K Seafood @ Chinatown, Bangkok! Though Chinatown's main road is short, it is a vibrant and lively street! Along the streets, would be T&K Seafood. It is easy to spot them as the staff wear bright green shirts! Approach the store and a staff will bring you in! Since it was my first meal in Bangkok, I had to order Tom Yam Soup. 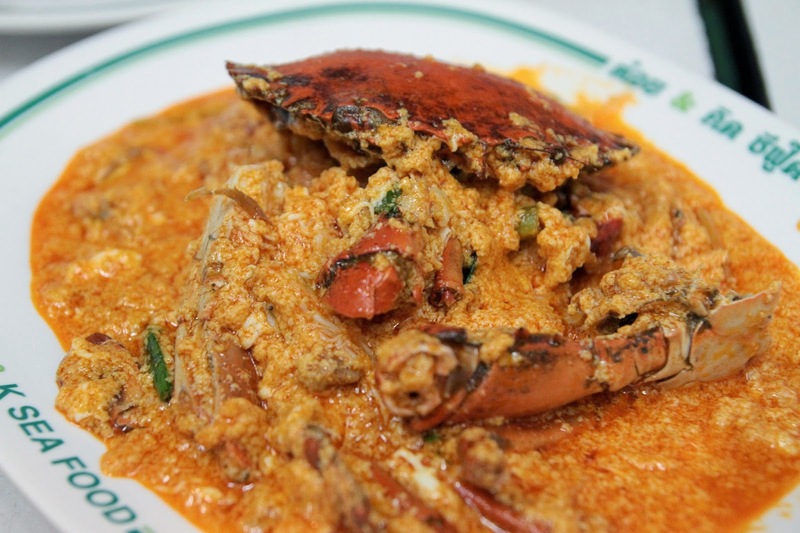 For interesting facts regarding Tom Yam, scroll to the end of the post! The Tom Yam soup here is equivalent to chicken soup for the souil. 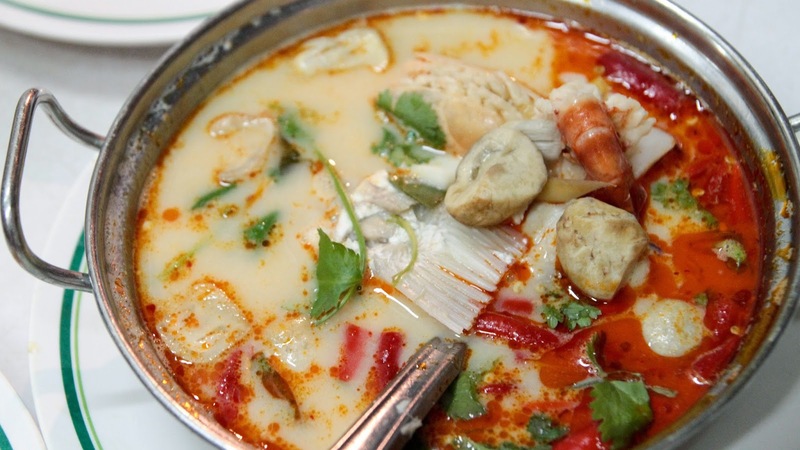 The extra spicy seafood tom yam is worth sweating over the meal. There's tissue provided, so NO FEAR. There is fish, mushrooms and squid in the tom yam soup. Seafood Lemon Grass Soup with Milk a.k.a Tom Yum Soup (150 Baht/ S$5.80). 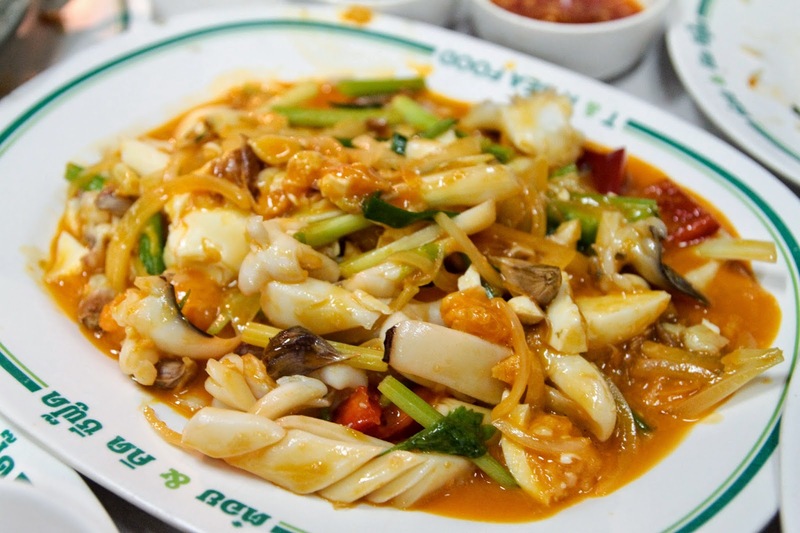 Stir Fried Water Morning Glory is commonly known as Kang Kong in Singapore. They use bird's eye chili instead of belacan (Shrimp paste) to create heat. SHIOK AH. 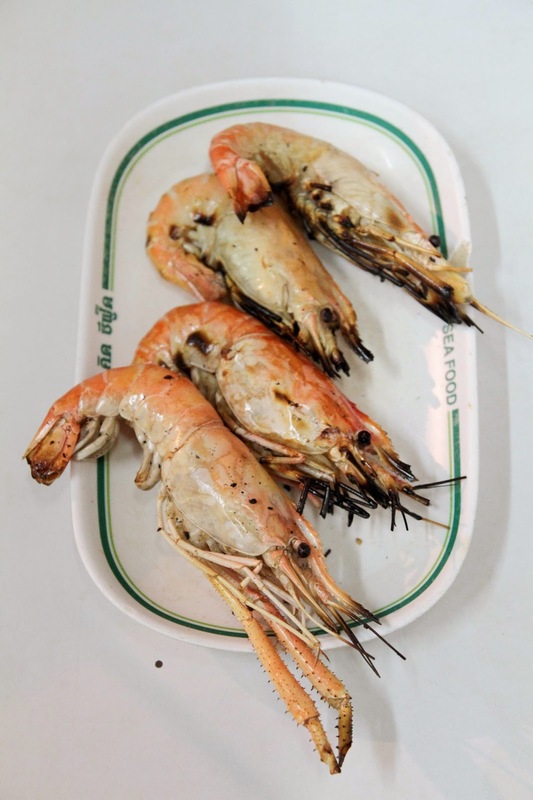 Grilling these prawns was probably the best way to cook them as it allows you to savour the natural sweetness of the firm prawn flesh. 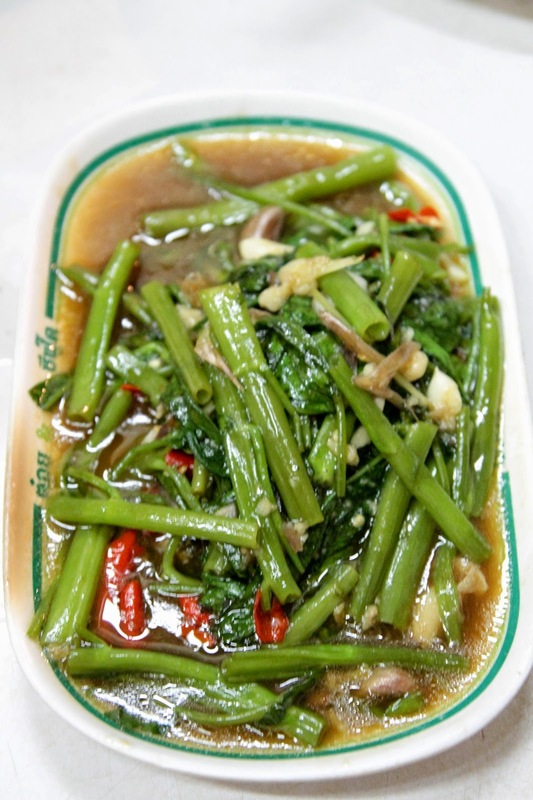 Stir Fried Water Morning Glory (50 Baht/S$1.93). 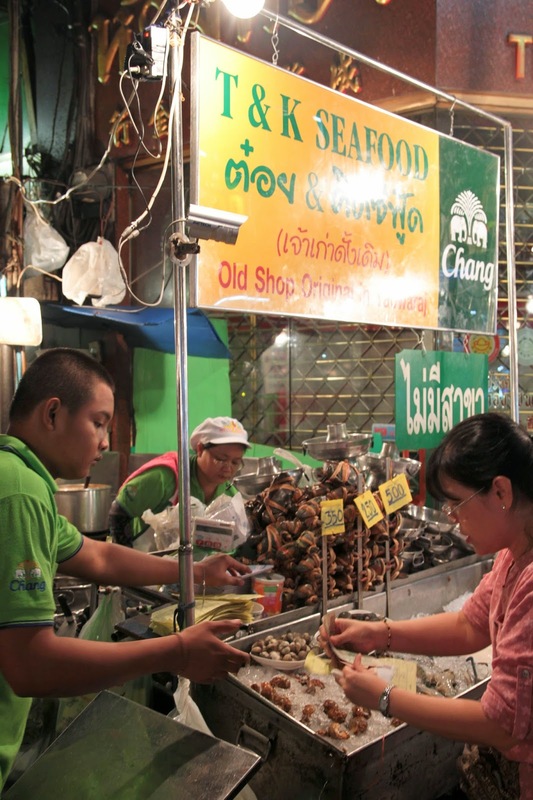 Grilled River Prawns(150 Baht/$5.80) on the right. I thought the fried rice was ordinary. 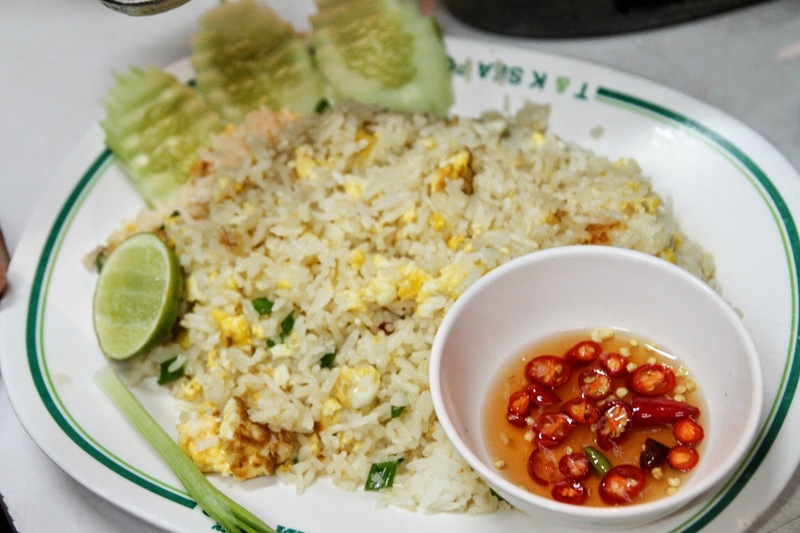 Just a basic fried rice that is oily and drowned in crab shells. I was hoping for some Wok Hei. 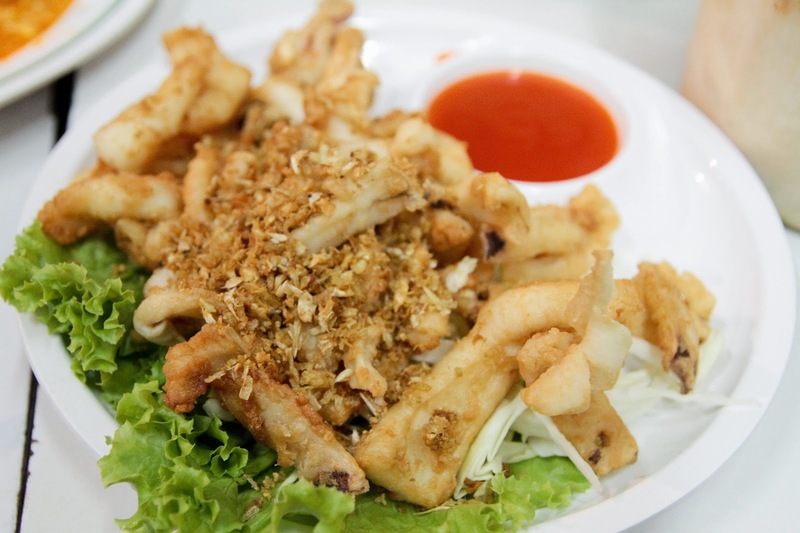 The Fried Squid had a generous amount of fried garlic which enchanced the squid's flavour! Well cooked as it was tender and more importantly not rubbery. I didn't like the dish. No comments. 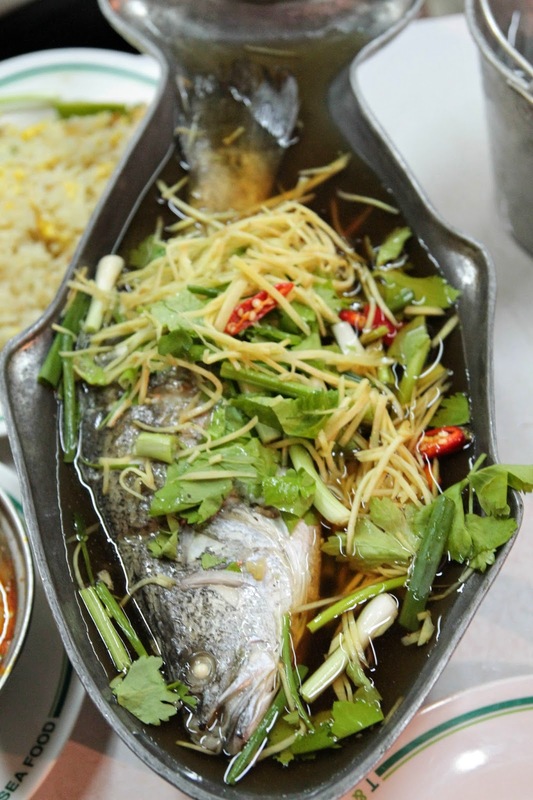 The fish is definitely fresh! Well steam as the fish was still fork tender. A must try!!! Al Fresco dining. Though you probably meet more tourists than locals. Seems like a tourist trap? The outdoor kitchen. Say hi to dinner. You probably can guess from this picture what is their most famous dish. Grilled River Prawns! The main street that T&K Seafood is on. The store front of T&K Seafood restaurant! The Chilli commonly used in cooking Tom Yam is the Bird's eye chili, a cultivar from the species Capsicum annuum commonly found in Southeast Asia. The chemical compound responsible for the pungent flavour and intense heat is capsaicin. The heat generally increases as chili is dried due to the increment of surface area. Satisfaction or contentment after fiery meals is suggested to be from endorphins realised due to the body's natural response to pain. The endorphins produced gives rise to pleasure which is the reason why we want to eat spicy food!